Drawbridge is a real estate investment company headquartered in San Francisco which acquires, develops and manages commercial properties nationwide. Drawbridge owns a portfolio of properties leased to large corporations with an emphasis on strategically important operating facilities. Drawbridge has a long history of successfully creating value for corporations and investors including Broadcom, IBM, Google, Johnson & Johnson, L-3 Technologies, Lockheed Martin, Medtronic, Monsanto, National Instruments, Northrop Grumman, and Unisys. The current Drawbridge portfolio is comprised of over 4.3 million square feet and most of its properties are located in growth markets across the United States. Drawbridge has a strong 20+ year history of executing on its investment strategy and assisting major public and private corporations and institutional owners of commercial property with their real estate needs while creating value for investors. 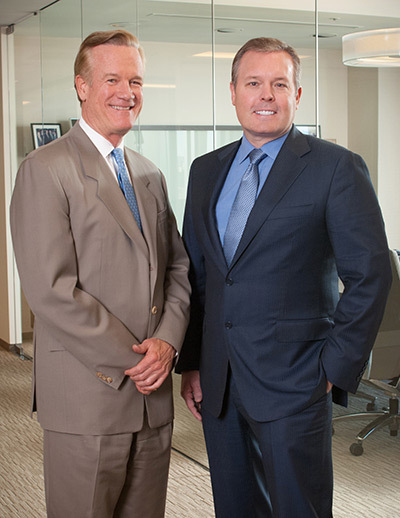 Its Co-Founders, Mark Whiting and Mark Pearson, formed Drawbridge Partners in 1999. In late 2011, Drawbridge Partners recapitalized the company with a major institutional investor, Almanac Realty Investors, and changed the name of the company to Drawbridge Realty Trust. During the next three years Drawbridge tripled the size of its portfolio and generated steady growth in profitability and valuation. In December 2014, Drawbridge formed a partnership with international asset management firm Kohlberg Kravis Roberts & Co., LP ("KKR") which made a significant investment in the Company to substantially grow the platform. The jointly owned Company is now known as Drawbridge Realty. With the financial backing of KKR and an investor group from The Townsend Group, a leading global provider of investment advisory and investment solutions for real estate, Drawbridge has access to significant equity capital. The structure of Drawbridge's equity base enables the Company to be a long-term owner of assets, which is attractive to corporate tenants seeking continuity with a relationship-focused landlord. Drawbridge is operated independently from KKR and The Townsend Group.